relaxed environment, plenty of choices, awesome staff. Needed someone to look at my glasses, had my 4 y/o son with me... needless to say - I was in & out without a fee! Great staff, worked mostly with Lily -she wouldn't let me leave looking like a fool. Thank you to the staff and Lily! Dr Munshi explained everything I needed to know about the pain I was feeling in my eye. A small scratch from a piece of debris... thank you Dr. Munshi. The doctor and the sales staff were an amazing team! Plenty of frames to choose from. Stopped into the shop for a quick adjustment on my reading glasses. The doctor (Munshi) was there just to say hello and introduce himself. Super friendly. Will go to him for my next exam. Dr. Munshi was great! Im nervous when it comes to doctors but he made himself out to be quite friendly. I’m happy I kept my yearly appt this time as I needed to be referred to a specialist. Thanks again for saving my sight, JC Reiss! Getting a toddler to the doctor is never easy… Doctor Munshi made us feel so comfortable and the whole process was so easy from start to finish. I’ll be recommending him to all the parents at school! Eye care, eye ware, high fashion. One stop spot for it all. Thanks again to the JC Reiss family! Ur amazing! As my prescription has changed and my desire to have different "looks" with my glasses, I have found J.C. Reiss to be exceptional in caring for my wants and needs. 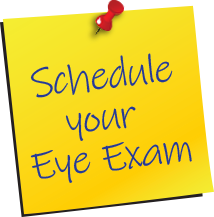 They have a very diverse inventory of in-style choices and totally professional service to provide the exact prescription I require. Thanks you for your service, your friendship, and all that you do for our community. Hi everyone! I was fortunate to win a pair of your fabulous sunglasses at this year’s Project Graduation. I love them! You always have a great selection of frames, even for children. I want to thank you for always supporting our school district and supporting the community. I tell everyone about the terrific service at JC Reiss. Thank you! I just want you to know that you guys went beyond the call of duty to get my glasses to me. Please know that it was awesome having those during my trip. My wife, Julia, and I will definitely be customers for life. Cheers! I’ve worn glasses all my life and my family has been going to J.C. Reiss since they were in Newark. Although I moved to Boston for my job eight years ago, I still go back to them whenever I have a new prescription. I was out walking my dog and accidentally dropped my glasses. The lenses were so scratched I could barely see. I took them back to J.C. Reiss, where I bought them, fully expecting to have to buy new lenses. Turns out, I was still within my warranty and they replaced them for free! Thanks, guys! Trying to find glasses for my six-year-old was a nightmare! The doctor’s office had no selection and she’s small for her age, so we couldn’t find anything in her size. I asked one of the other mothers at my daughter’s school where she got her son’s glasses…she said J.C. Reiss. I went there not knowing what to expect. They were all so friendly, and they had a separate kids room that was full of frames! We had no problem finding cute glasses; the hardest part was picking just one! Thank you, J.C. Reiss! I broke my frame on the way to work, so I stopped in at J.C. Reiss to see if they could even be fixed. Not only did they fix them while I waited, but there was no charge! I will definitely buy my glasses there from now on!